I don't know about you, but I've heard so much about setting Specific, Measurable, Attainable, Relevant, and Time-based (SMART) Goals that my brain is going to explode. The only thing trending higher than having SMART Goals may be the use of Artificial Intelligence (A.I.) in sales for 2019. But this is not about A.I. No, this is about - yep, you guessed it, SMART Goals. 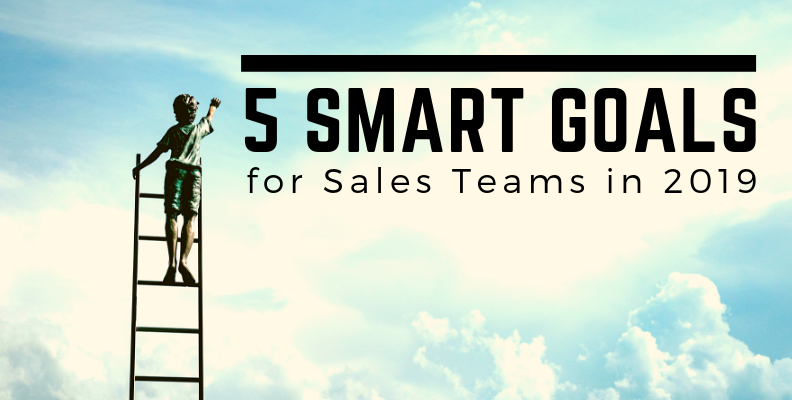 A major factor in keeping the Sales and Marketing teams aligned is developing SMART Goals. You probably clicked this link hoping to read the tea leaves and find the answer that everyone else is searching for. Let me be clear - If I knew what specific goals should be for every business to plug-n-play I would not be writing about it here. Can you say "early retirement?" To gain a sense of just how many people are looking for this answer, try googling "2019 SMART Goals for Sales". Oh, wait - you may have already done that in order to find this article! If that's the case, then you already know there are almost 110 million, that's MILLION with an "M", results. Now that we understand why we set SMART Goals, let’s focus on SMART goals for the Sales team in 2019. I'd ask that you take the following information with the asterisk that each and every business, and sales team for that matter, can be very different. Sure every organization can say, "We want to grow our revenue in 2019." Of course, you do! If you didn't... well I'm not even going to finish that statement. But that's why you must set SMART goals and really stop to think about your organization's situation and how these goals will impact the bottom line. Setting goals for your business are much like setting a New Year's Resolution. 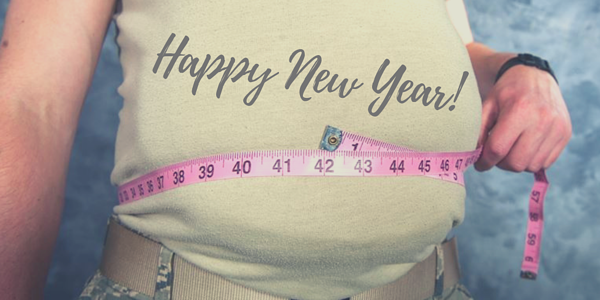 Statistics show that almost 80% of resolutions fail by February. Or, better yet, many of those resolutions don't make it to January 17th, or otherwise known as "D-Day.” Similar to resolutions, if goals are not specific, attainable, relevant and time-based, not many people, whether in sales or trying to "be healthy this year” will likely reach their goal. So, let's start setting some 2019 SMART goals for your sales team. Here are five goals categorized by various activities that relate to many types of businesses. Just keep “smile’n and dial’n”! Sales organizations still play it by the numbers. Of course, we have new technology to help us work smarter (no pun intended), but there are still so many businesses out there that depend on reps making phone calls. This is a common sales goal - to make “X” amount of calls in a period of time - but ultimately it’s about the converting these calls into opportunities and eventually sales. So at a micro-level, it’s still all about how many contacts or phone calls the salespeople can make, increasing the chances of hitting sales numbers. But let’s not leave it with “make more phone calls.” Let’s say the phone call quota was 100 calls per week in 2018, and the data shows what that an increase of 5 more calls per day will amount to at least 1 more opportunity, then the SMART goal should be for each sales rep will make 25 phone calls per day in 2019. Hey, why sell over the phone when a face to face meeting may generate even greater closing ratios? This next goal should motivate your team to have more in-person engagements. But again, that's too vague. If in 2018 we required the salespeople to meet with 20 prospects each week, and let’s pretend our data tells us that for every 5 meetings 2 become a sale, then the goal may be to increase face to face meetings for each rep to (for this example) 5 per day in 2019, up from 4 per day in 2018. An increase of just 1 meeting per day will provide 5 win opportunities per week. This SMART goal would be sales reps will hold at least 25 meetings per week in 2019. Many businesses are in fields where salespeople may be required to attain and/or maintain an industry license. In this case, a common goal and logical one may be tracking hours of study or attending classes and seminars. Let’s say for this example we want to start with two hours per week required. It’s not uncommon for sales managers to monitor how this goes and adjust accordingly. If the goal is easily achieved, increase it by one-hour increments. And for the sake of this article, we’ll pretend that said license must be updated every year. To receive this license one would have to take a grueling 90-minute test at a licensed facility, in person. This will take a significant amount of study time, but there is a whole year to prepare for it. This SMART goal may start out with each sales rep committing two hours per week to log in to the ’study portal’ (how else are we going to track this?) for 2019. This goal, as I mentioned earlier, may be adjusted every 3 months by the sales manager to ensure each rep is prepared when the time comes. Now we’re talking. You may have been wondering, “How are we going to hit our forecasts if we’re not setting goals against our sales numbers?” Well, you aren’t wrong for asking that. Ultimately, business’ success relies heavily on the sales team to close and hit numbers. A common sales goal is to require a sales rep to make one sale every day. But there is a caveat to this…Don’t set the goal to the amount of the sale. it should be held to just making one sale per day - not crushing a salesperson’s confidence if it’s not a massive amount. Their confidence will be your gain in the long run, and their sale amounts will start to increase. So, this SMART goal is simply for each sales rep to make one sale each business day in 2019. We’ve all heard this before, a long-term customer is of more value than a single-deal customer — plus it’s a lot less expensive to keep a current customer than to acquire a new one. That being said (or repeated), a key goal to not overlook in 2019 is to maintain a certain percentage of current customers - aka, the percentage of retention ratio. To drive this undervalued point home, Bain & Company’s study revealed: “60-80% of customers who describe themselves as satisfied do not go back to do more business with the company that initially satisfied them.” If you were like me when I read that, you may be left dumbfounded. It’s simple really. Disconnection is the main culprit why so many ’satisfied’ customers remain one-time sales rather than becoming a lifetime customer. Here’s where all this technology comes in handy. We have so much information on our customers today. And to make it even easier to leverage this information, we have statistics that tell us we don’t always have to send such a formal email to make a huge impact. What if we know that the ‘Read Rate’ of text messages is far higher than any other medium? Add to that stat, text messages don’t go into junk mail. Plus, we know that 96% of all text messages worldwide are opened and read within two minutes, (Harris Research 2014). Now you’re asking, "so what’s the SMART goal with all this knowledge?" How about instead of broadly tracking the Retention Ratio Percentage, you focus on the micro-point of just what steps are we taking to retain our current customers daily? A SMART goal may look like: sales reps must make 5 meaningful touches with current clients (in the form of a Text/SMS) each week in 2019. Sometimes SMART goals for marketing seem so much easier. Hubspot provides great examples of SMART Goals for marketing like, "Increasing Blog Traffic, Email Subscriptions, Webinar Sign-ups, and Landing Page performance.” SMART Goals for Sales does not come in a nice little package all wrapped up with a bow most of the time, if ever. There are no standard templates for every business to utilize. But as I’ve demonstrated, there may be some standard activities to build goals off of. Setting SMART goals for your sales team is not rocket science, however, it does take a bit of research and strategy development if you hope to challenge, inspire, empower, and raise the overall performance of your salespeople in 2019. By keeping your goals specific, measurable, achievable, relevant and time-based, you and your team stand a better chance of hitting your company’s goals this year, and the years to come. Now get out there and Crush It! 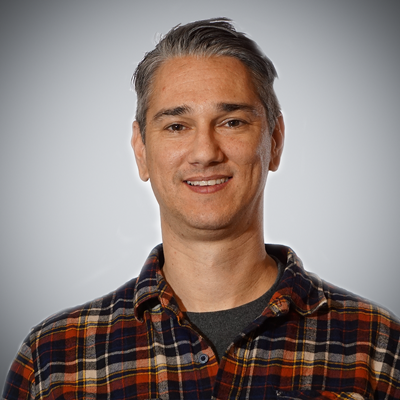 An Inbound Marketing Evangelist, Jason possesses a unique perspective leveraging his design background with his passion for marketing. Telling stories and creating a presence drives Jason to continue to grow as a marketer and sales system analyst. Staying on the bleeding edge of modern systems and marketing techniques keep his thirst for knowledge at bay.